If you are 18 years of age or older, uninsured and a resident of Culpeper, you may be eligible for health care services at the Free Clinic. The Clinic will host eligibility screenings, an informational session, and short tours on March 13 from 1:00 – 2:00 pm. 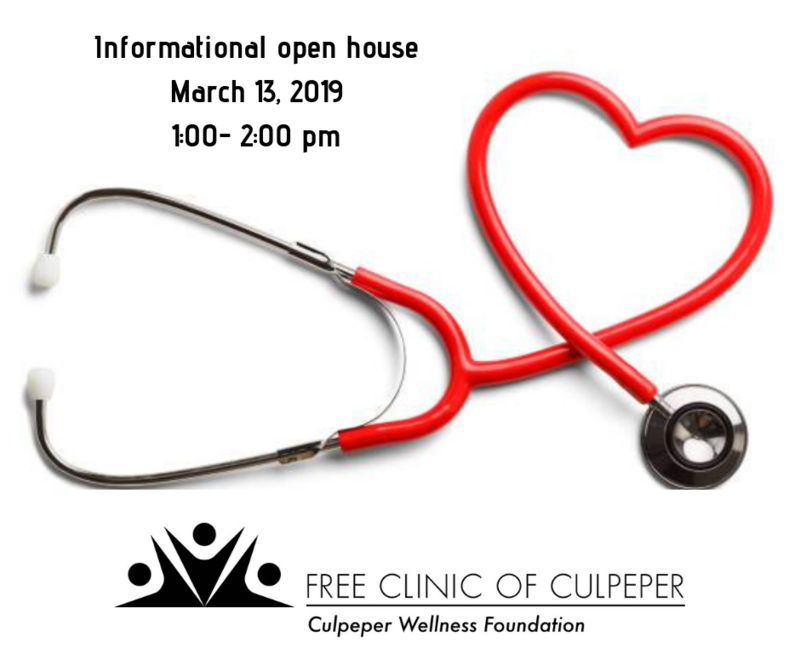 Culpeper residents are invited to stop by and learn if clinic services can support their health care needs. The Clinic is located at 610 Laurel St, Suite 3, in Culpeper.